In the western state of Maharashtra, there await age-old memoirs of Indian History. These memoirs are the Ajanta and Ellora Caves in Aurangabad. The caves have great historical significance; interestingly, three religious texts make an appearance on their walls. A visit to Ajanta and Ellora are a must if you are in Maharashtra or anywhere in India. Built somewhere in the 2nd century BCE, they were again discovered more recently in the 1800’s and since then have been maintained as a UNESCO site. But as the number of tourists visiting the caves is increasing the quality of the paintings and their sculptures are decreasing. One should try and avoid flash photography and maintain the sanctity of the caves now. Please do listen to the security and help maintain this wonderful site remain so. Ajanta And Ellora Caves consist of a total of 64 caves. Ajanta Caves alone has 30 caves, but the most visited are Cave 1, 2 and 4. Each has its own attraction, where Cave 1 has a grand doorway, Cave 2 has intricately designed ceilings, and Cave 4 has the largest monastery in Ajanta. Carved out of flood Basalt rock, they are all arranged in a horseshoe pattern. Excavation began by cutting a narrow tunnel at roof level, which was expanded downwards and outwards; as evidenced by some of the incomplete caves such as the partially-built vihara caves 21 through 24 and the abandoned incomplete cave 28. All cave numbers are well marked. You can’t miss them. The details are sure to blow your mind away. Each cave has its own paintings, its sculptures and each are designated for its own purpose. From hostels to prayer halls these caves have it all. You should spend a whole day here, walking through all the caves which by the end of it will definitely tire you out but I assure you will be worth it. 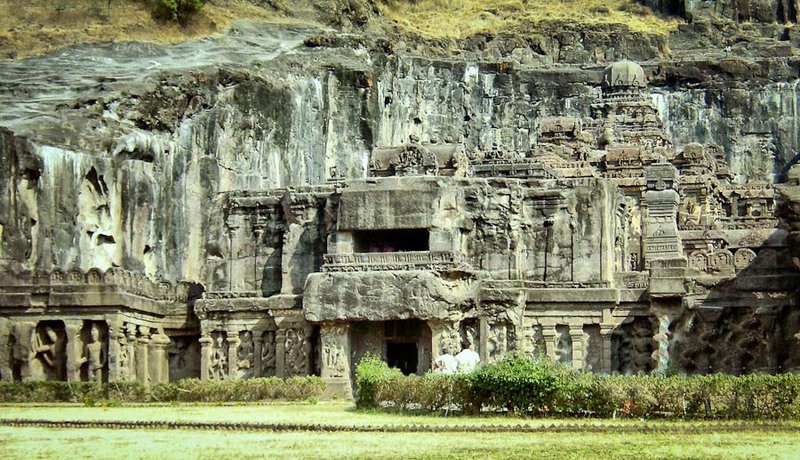 Ellora Caves has 34 caves, related to Hinduism, Buddhism, and Jainism. Cave 2 is a Buddhist cave with a sculpture of Buddha seated on a lion. And Cave 16 is the Hindu cave dedicated to Lord Shiva. Cave 1 is related to Jainism and is more of a monastery. The most famous one amongst them is the Kailash Temple. Carved from top to bottom on a massive rock, this 4 storied temple is an ancient wonder. How anyone could carve to such perfection that too from the top to the foundation is a mystery. The detailed columns, the sculptures and their scale, all marvelous. When compared to this cave, the rest of them don’t shine so bright and people usually give it a skip as it gets tiring to walk through them all. But it is an interesting walk as some of the caves have sculptures depicting daily life with kids playing pranks, pooping or people walking and talking. There are even sculptures of skeletons so a walk through these caves will definitely give everyone a pictorial representation of how humans have not changed as much as we think we have! When you have come all the way here, it is definitely worth stopping by the one of India’s most secured fort. Built in the 14th century, it is amazing to see how much thought process has gone into building this fort with its array of maze leading to the cliff at the edge or the double layered security walls and impregnable staired walkways. It stands on a conical hill, about 200 meters high. Much of the lower slopes of the hill has been cut away by Yadav Dynasty rulers to leave 50-meter vertical sides to improve defenses. A fort is a place of extraordinary strength. The only means of access to the summit is by a narrow bridge, with a passage for not more than two people abreast, and a long gallery, excavated in the rock, which has, for the most part, a very gradual upward slope. Both the caves are at a close distance from Aurangabad. And the climate there is same as the rest of India. Avoid summer months – March to May. The rainy season starts in June so the sightseeing can get interrupted by showers. It is better to visit during the winter season that is from November to January. If you are visiting in summer, then you need to wear comfy cotton outfits to stay cool. But if you are visiting in winter then you need light jackets to keep you warm. A nice pair of boots or shoes is much appreciated. You need to walk around to see the caves, so it is only fair if you pair a good pair of shoe. Like rest of India, Hindi is a language which will help you in Ajanta and Ellora too. Most of the Indians understand English and can speak English also. You will not have a problem in communicating with the locals if you know English and some basic Hindi Phrases. The Ajanta and Ellora caves are a specimen of the days when Hinduism, Buddhism, and Jainism were in harmony in India. Ajanta caves are of 2nd Century BC whereas Ellora Caves are of a later period, in 5th Century BC. These places are not just mere historical places but also religious places. Visit it with reverence and respect the beliefs of the locals. Aurangabad is in Maharashtra, which uses the Airtel, Reliance and Idea mobile networks. Airtel provides 4 G services. You can use your Airtel sim from Delhi here because Airtel has made all its services roaming free. Reliance Jio users will also face no problem whatsoever in calling or using data anywhere in India. Two days are sufficient to take a tour of both the caves. There are 64 caves in total, so it might take a lot of time to visit all. But if you stick to the main ones then two days are more than enough to see around. If you have the time it would be best to stay for 4 days, visit the caves and even see Daulatabd and Aurangabad in the process. Buses are available from Aurangabad Bus Station to Ajanta and Ellora Caves. The Maharashtra State Tourism Corporation Bus Service leaves from the MTDC Office in railway station road. There is also a luxury bus service running from Aurangabad. The Asiad buses operated by Maharashtra State Road Transport Corporation are semi-luxurious but are not frequent. Public transport is the best way to reach the Ajanta and Ellora Caves. You can also hire cars with drivers who can take you to the caves. But it is expensive than public transport. It cost about 300-400 INR. In India, the left-hand driving rule is followed. But if you have a driver with you then you need not worry about driving. Indian drivers are rash, and it is a risk to drive on the Indian roads. Better let your chauffeur do the work. In India the standard voltage is 230V, and the socket Type C, D, and M. You need a voltage converter as well as an adapter. You can also try a combined adapter/ converter. The nearest airport is the Aurangabad Airport. And there are regular flights to Aurangabad from Delhi and Mumbai. You can also take trains from Amritsar, Delhi, Hyderabad, and Mumbai. MSRTC offers Red Buses to Aurangabad from Mumbai. 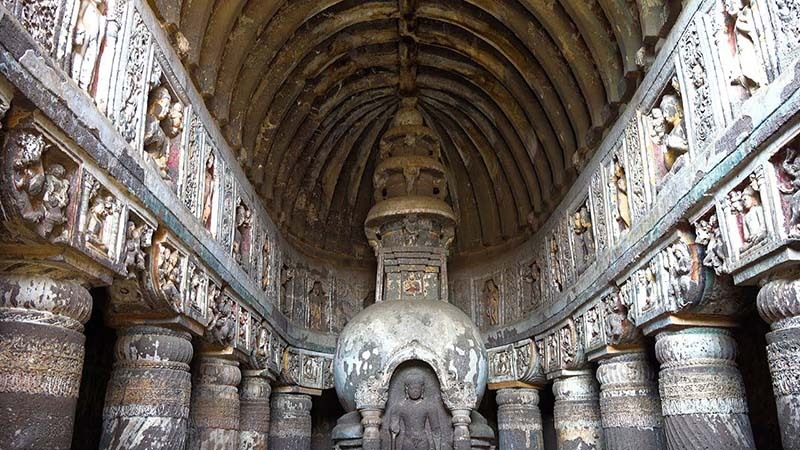 Once you reach Aurangabad, you can take bus or taxis to the Caves which is at about 100 Kulesm away. Ajanta Ellora Caves offers accommodation like the Guest House and Tourist Resort. If you want to stay nearby the caves then this is your best bet. An overnight stay costs 2000- 4000 INR. 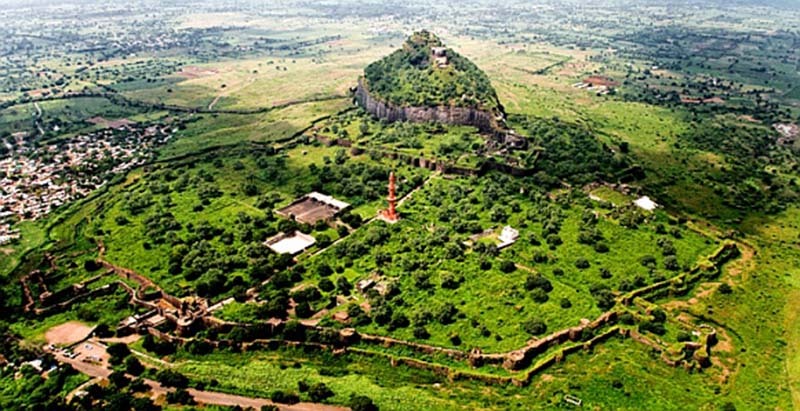 But there are also many hotels in Aurangabad to which you can return to after your day trip to the caves.